Whether you are trying to connect to a conference call from a country we don't have local numbers for, or you are experiencing difficulties with your phone, you can always use Chrome or Firefox to host or join an audio conference. Check your speakers/headset, and microphone. Make sure your wallet card or PIN codes are at hand. Go to any of 247meeting.com page, and look for the "Join a conference" button. Click on the button to open the pop-up. Click again to open the keyboard and enter your Host code or Guest code followed by #. You are in. Yes, it's THAT easy. 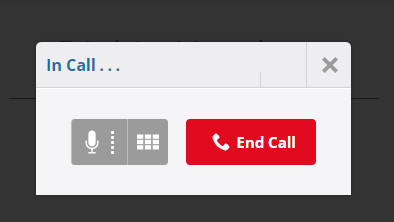 At the end of your call, simply click on "End Call". This icon means your microphone is working. If you are not speaking and you can still see some green, people might be able to hear background noises from your line. 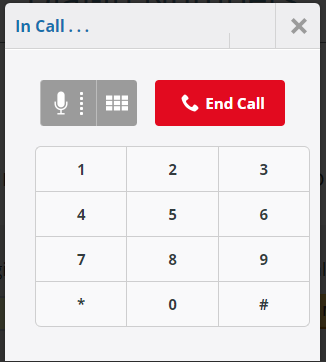 If you want to mute your line and avoid any disruption in your call, click on the microphone icon. It will then appear red. Press it again when you want to talk.